This small camera will fool a lot of people that just judge it by the brand name and the size. It is very much a powerful option for anyone that wants to try something different, especially in the compact arena. With enough packed into its little frame to give even Bushnell a run for its money, this is a camera that will go unappreciated by many. Using a compact styling, the camo trend also continues with this model. It works well in swamps and forest areas but will stick out like a sore thumb for home security. The rounded edges makes it look different than anything else on the market. Unique or not, it stands out and will be very different than what your buddies have in their arsenal. Despite the small size it still has a good 1.2 pounds attached to it, which shows an impressive amount of heft. This means it is very solidly built and can still go into high perches for a top down view. The small size makes it a perfect fit anywhere, and in many cases it can be hidden in plain sight. Surprisingly enough all level of users will be able to operate this camera. The more advanced features are very easy to operate, and due to it having different operational modes than bigger brands, expert users will have a tougher time getting acclimated to the controls than newer users. This is one of the few times that beginners may have an edge over other users with the learning curve of a camera. The small size will confuse a lot of people that may take it for granted in thinking it is fragile. But there is enough weight behind it that it can take a huge amount of punishment. The casing is a tight fit around the camera, so any type of shock absorption will not really effect a shot. Smaller cameras usually are at a disadvantage when it comes to protection, however that isn’t the case with this product. Water resistant to the max, it will hold up really well in bad conditions. Pictures are very good with the 8MP, looking very vibrant on bigger TV’s with little grain. The pictures in general tend to be more colorful in both modes rather than just the highest. Video is standard but decent enough 640×480. There is nothing really special about it, but with a high rate of 30fps it does come out better than most cameras that do 640×480. Look for the video to be one of the more surprising features of the camera. Only 4AA batteries are required to make it run, and they last a decent amount of time. It’s not that the power saving features of the camera are incredible, but rather that the built in features don’t draw a lot of power. So while the battery saving in standby mode is average at best, the overall power consumption of the camera is low, even when operating at 8MP. This allows for some serious configurations in and out of the home for the advanced user. The 8MP can be alternated with 5MP, giving you larger space saving features when taking pictures or video. Night vision works up to 45ft. out, so placing the camera faraway won’t be an issue at all to get that perfect shot. Invisible flash is another reason why that 45ft. is important, working in tandem with the rest of the cameras features to go completely undetected at night. The PIR motion detection sensor is about as precise as you can get when knowing the correct time to activate. SD card support lets users eject and transfer all of their files to a compatible PC or Mac system. Although the pictures and videos come out great, the videos are not HD. 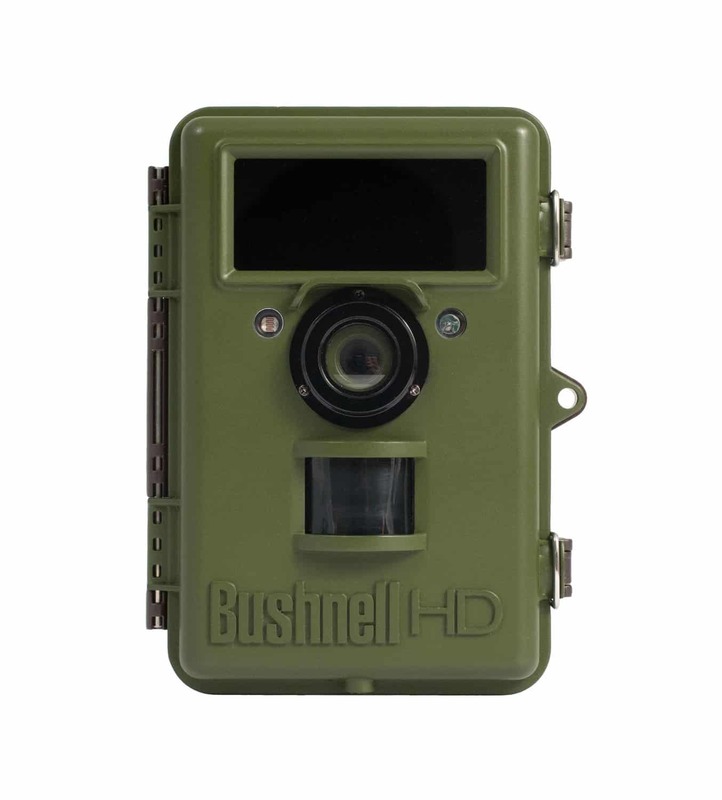 With the cameras great power it would have been nice to see an HD option available, as standard definition video for a trail camera is dying out. There are no options for an external power source, so once it goes out you will have to replace it on the spot. This leads to predicting the correct time to replace the batteries as you don’t want to run out when you need it the most. Pyle is not a well-known company and users would be taking a leap of faith with this purchase. Camo style is perfect for outdoor use but really doesn’t work for home security. Beginners have taken a liking to this camera as a good alternative to what is being currently offered by bigger brands. The learning curve is very low, and it has an easy initial setup. Pictures were described as being lifelike and detailed. You get complete clarity with the pictures and they aren’t fuzzy and washed out. Some other customers have sworn by the video capabilities of the product, successfully using it to monitor the outside of their homes and backyard. The general mood is that several people would recommend this camera to all users, despite it not being a name brand like Bushnell. Value with cameras not from a big company are always hard to gauge, but considering that it’s low priced and high powered, it is very much a deal. The only drawback is the video, but many are claiming that the video is decent for what it does. If the price remains low for the foreseeable future, then this is a purchase that shouldn’t be missed out on. You’re looking at maybe five solid years before having to worry about replacing the product. Possibly 10 since it is so good on batteries, something that even the big brands have trouble keeping up with. There are loads of ways to describe it to customers, but it’s better if they try the model for themselves. Chances are it will be in their favorites list for years. This camera flew under the radar at its release and even after people started recommending it. So its availability is pretty high if you wanted to do some research on other cameras. This model will be in stock for a long time without any worries of it becoming a rare or collectible item. Most notably the Konetun® 2.4 Inch Screen 12 Megapixel camera will give the Pyle the most run for its money. It is pretty much the high definition version of the Pyle and at the same price. Where the Pyle has it beat is with battery performance, something that not many cameras can attest to. If HD is something that you can’t live without, then Konetun is a great option. But most users will prefer the balanced performance of the Pyle model, especially with its great battery performance. There aren’t a lot of cameras from small companies that can challenge the big boys, but the Pyle PHTCM28 Water Resistant Wild Game Trail Scouting Camera is a good start. Buyers will be very pleased with what the company has to offer, with this particular model being top of the line. Inside or outside, it has proven that it is worth the asking price.